The Group of Hope has been underway since 2002. This unique, prisoner-initiated program, which begun in Brandvlei Prison, a maximum-security facility near Worcester in the Western Cape, offers the only alternative to joining the notorious prison gangs. The group continues to challenge everyone’s perceptions about prisoners. In the end, the program is not just about the inmates in the Group, it is about the transformative power of hope and love in lives not accustomed to such possibilities. This group works towards both prisoner rehabilitation and combatting the effects of AIDS. 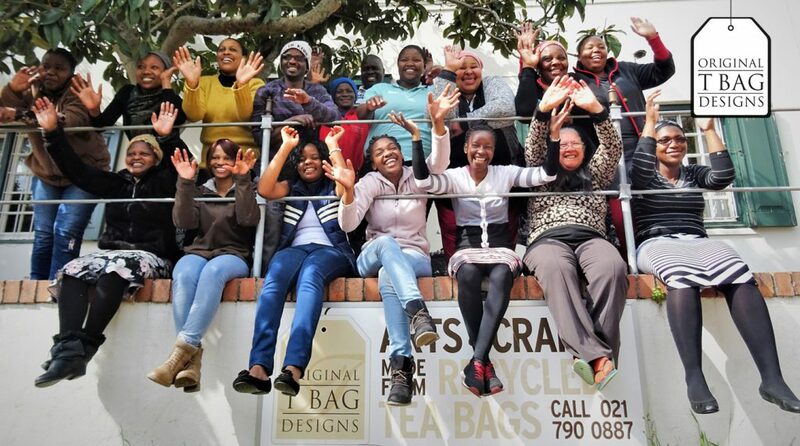 Over twenty male prisoners are now spending much of their free time cutting cardboard boxes into diamonds and rolling them into beads to create beautiful jewellery pieces in order to help the AIDS orphans in their community. The men of the Group of Hope have adopted many orphaned and vulnerable children from the surrounding townships. They raise money to help feed, clothe and keep these children in school by making jewellery out of recycled cardboard boxes. As one group member says, “I am not just rolling paper beads, I am rolling opportunities for our orphans.” The children they support regularly visit their unlikely benefactors and the bond between them has transformed both sets of lives. The Group of Hope inmates also run HIV prevention campaigns within the prison, as well as workshops for troubled youths from the community. NOAH Soap was initiated in 2010 in Khayelitsha. Using donations of soap from large hotel chains, including the 12 Apostles and One&Only Hotels, and with the help of Charlotte Rhys, the initiative re-uses the hotels’ wasted soap by cleaning it, cutting it and transforming it into new bars. Beautifully packaged, it has been sold to individuals, guest houses, conference coordinators and various other retailers. From the sales of the soap, NOAH provides housing, health and social support for the elderly people in the community. Established in 2010, Growing Paper manufactures handmade environmentally responsible products such as seed paper sheets, greetings cards, invitations and much more. Their products are made from recycled paper and are embedded with seeds that will grow into flowers or herbs once you have planted your used product. The papermaking process uses large amounts of water therefor they reuse the wastewater for farming activities on the farm where the factory is located. The workforce is primarily made up of members from the local community and together they strive to maintain the highest standards, values and quality.